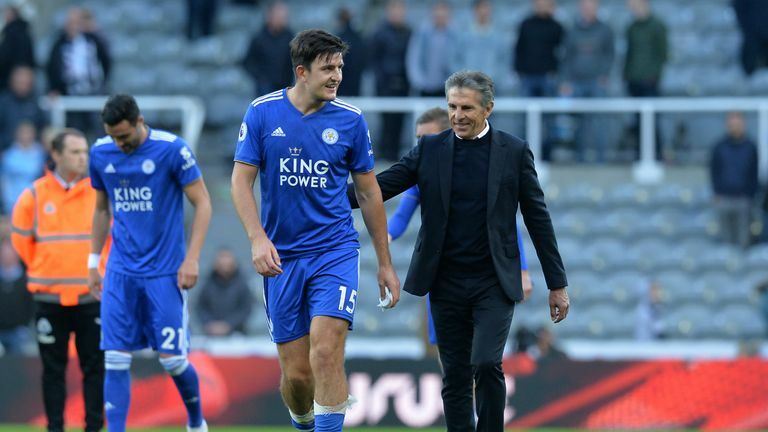 Leicester boss Claude Puel expects Harry Maguire to remain at the club even if Manchester United reignite their interest in the defender this January. In August, Sky Sports News reported United had two bids turned down - the second worth about £60m - for Maguire, who was interested in a move to Old Trafford. However, Leicester held off United's advances, with the England international going on to sign a new five-year contract in September. Puel says he cannot guarantee Maguire will stay beyond the January transfer window, but stressed the player is "happy" after deciding to play the full season at Leicester. 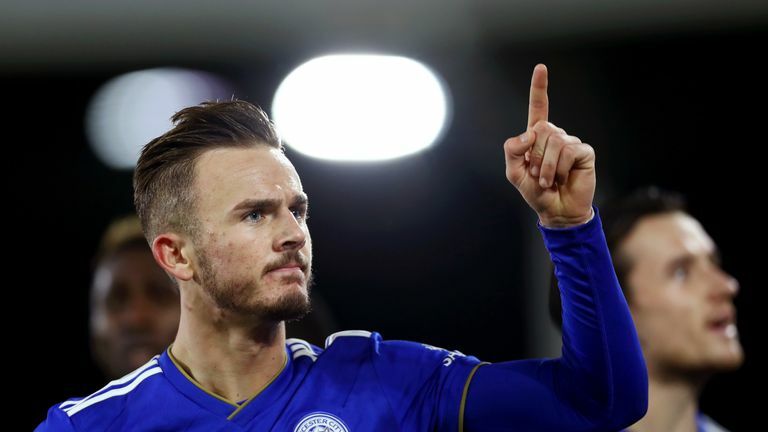 "We cannot ever guarantee, but he decided this summer to remain with us, to play a full season," said Puel. "He is happy with us, he saw the quality of the team, the ambition, his fantastic team-mates, and of course for Harry or other valuable players of the club, it's important to keep our best players until the end of the season and continue this work. "In the past, Leicester took the right decisions. We saw this with Riyad Mahrez last season also. "It was important to maintain the squad until the end of the season, and to keep all our players to player and perform. Highlights from Fulham's draw with Leicester in the Premier League. "I hope to have a good result and perhaps win something at the end of the season. "We will not have a problem this winter because we have a good squad with good guys, with their heads on their shoulders." Maguire is set to return for Leicester at home to Tottenham on Saturday after missing the last five weeks with a knee problem. However, Jamie Vardy remains out with a groin injury, and Puel says he does not want to rush the striker back to action. Puel added: "Jamie won't be available. We will protect him, he has a little pain and I hope he can recover after 10 days. "If we push him perhaps it will be a big injury and I want to protect him. "I hope we can have Jamie for Crystal Palace, but I am not sure. We will see if he will improve his feeling and see when we can use him. "It's just something about the pain and we needed to be careful. We have to respect the rest so he can come back into the squad."